Diwali is the best time to catch up with family and friends. This weekend marks the beginning of the countdown to the big festive days and you should simply make it wow. 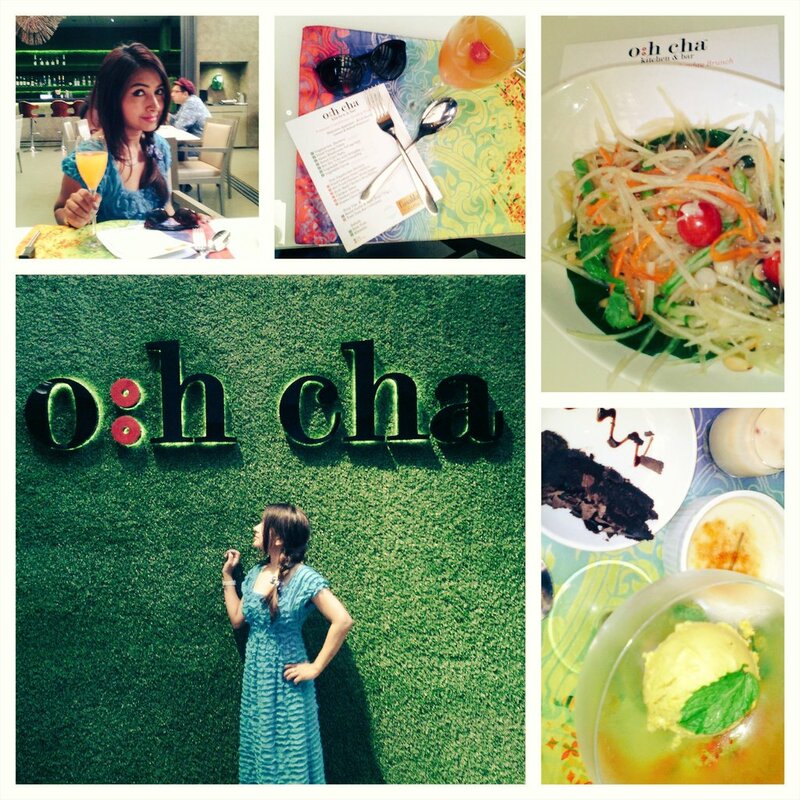 Head to O:h Cha for a hearty party and try the best of PAN Asian cuisine there. # Feel refreshed by saying cheers with a glass of bubbly wine, cocktail or mocktail from the exotic menu. #You can begin with TOM JEUD JAE glass noodle clear soup and SOM TOM Thai spicy raw papaya salad if you are a bit health conscious. #Once you get to the appetizers, forget all about the calories and have a feast with KAI THWAD TAKRAI. You can call for STIR FRIED CHICKEN, TOFU OR TURNIP CAKES as well. # Get spoilt for choice with different styles of rice and noodles as per you preference. #Finish with sinfully good desserts like GOOEY CHOCOLATE CAKE!